Background The implementation of preventive measures of look-alike/sound-alike drugs incidents has given rise to a fundamental rule in Clinical Risk Management, but the problem is underestimated, endorsed by the absence or inadequate presence of specific uniformed procedures. In literature, there are few reviews about look-alike/sound-alike drugs. Aim of the review To collect and summarize best practice and significant technological solutions proposed by different disciplines involved in look-alike/soundalike drugs limiting solution research. Method A PubMed (any date) and EMBASE (all years) search was conducted in January 2013 with look alike sound alike drug [look AND (sound/exp OR sound) AND alike AND (drug/exp OR drug)] as search term. Later, references were selected focusing on lookalike/sound-alike drugs original research describing incident, identifying health operator difficulty, testing any type of intervention against errors, reporting a qualitative or quantitative description of the look-alike/sound-alike drugs errors. Results Forty and ninety-four articles were identified by a PubMed and Embase search respectively, with search term and limits described above. Later, articles not respecting selection criteria or overlapping were eliminated. In the end, 14 references were considered, 10 being from PubMed and 4 from Embase. Conclusion Results show and confirm the multidisciplinary interest of the research on look-alike/sound-alike drugs, and the difficulty to perform systematic review or metaanalysis for many clinical questions that have great relevance. 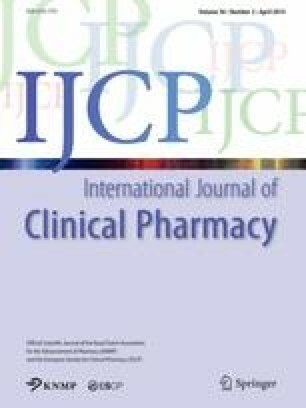 This review has identified technology and management solutions that could effectively limit, or eliminate, look-alike/sound-alike drugs errors in hospital wards, or outside the hospital where the risk is more uncontrollable: however look-alike/sound-alike drugs therapy errors are not supported by reliable statistics but events reported in the literature can not be underestimated. This research was supported by University of Salerno/Scuola di Specializzazione in Farmacia Ospedaliera scolarship grant, period 2009-2013.